A poignant, funny, blazingly original debut novel about sisterhood, the tantalizing dream of America, and the secret histories and hilarious eccentricities of families everywhere. In the wake of their mother’s mysterious death, Linno and Anju are raised in Kerala by their father, Melvin, a reluctant Christian prone to bouts of dyspepsia, and their grandmother, the superstitious and strong-willed Ammachi. When Anju wins a scholarship to a prestigious school in America, she seizes the opportunity, even though it means betraying her sister. In New York, Anju is plunged into the elite world of her Hindu American host family, led by a well-known television personality and her fiendishly ambitious son, a Princeton drop out determined to make a documentary about Anju’s life. But when Anju finds herself ensnared by her own lies, she runs away and lands a job as a bikini waxer in a Queens beauty salon. Meanwhile, back in Kerala, Linno is undergoing a transformation of her own, rejecting the wealthy blind suitor with whom her father had sought to arrange her marriage and using her artistic gifts as a springboard to entrepreneurial success. When Anju goes missing, Linno strikes out farther still, with a scheme to procure a visa so that she can travel to America to search for her vanished sister. The convergence of their journeys—toward each other, toward America, toward a new understanding of self and country, and toward a heartbreaking mystery long buried in their shared past—brings to life a predicament that is at once modern and timeless: the hunger for independence and the longing for home; the need to preserve the past and the yearning to break away from it. 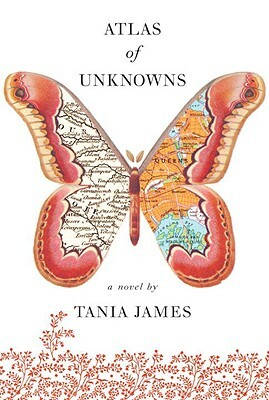 Tania James combines the gifts of an old-fashioned storyteller—engrossing drama, flawless control of plot, beautifully drawn characters, surprises around every turn—with a voice that is fresh and funny and powerfully alive with the dilemmas of modern life. She brings grace, humor, deep feeling, and the command of a born novelist to this marvelous debut. Tania James was raised in Louisville, Kentucky, and is a graduate of Harvard and Columbia universities. She has published her work in "One Story "and "The New York Times. "She lives in New York City.